Improve Communication and Care Coordination with ChartRequest. Patients with chronic conditions require a team of medical specialists. In these circumstances, care teams need a seamless exchange of records to serve patients well. At ChartRequest, we’ve created a platform to address the data silos in healthcare settings and improve care coordination. Watch ChartRequest reduce data silos in healthcare—and expedite care with proactive record exchange within teams. 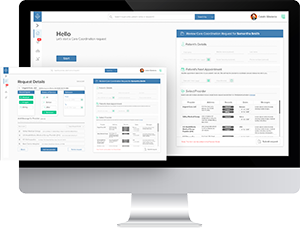 When it comes to care coordination, our platform allows any provider to leverage our platform free of charge. 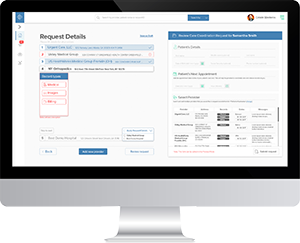 Simply sign up, become verified, and request records from ChartRequest’s network of 15,000+ healthcare providers. You’ll enable medical information to flow freely while remaining HIPAA compliant—empowering your organization to improve diagnoses, care, and the overall patient experience. With the surge in value-based care, closing the referral loop is more important than ever before. For any healthcare organization, it’s critical to ensure that all care teams enjoy a seamless exchange of patient records and avoid care gaps. 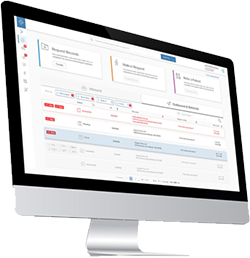 Leverage an EMR-agnostic solution with automated workflows that accomplish that objective. 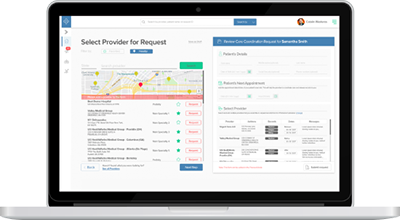 ChartRequest empowers your organization to send records at the time of referral and retrieve records from referred providers. Enjoy a single location for sending and receiving patient medical records. With ChartRequest, there’s no need for multiple communication platforms to accomplish the simple goal of sharing health information. Let ChartRequest simplify both release of information and record retrieval for your organization. When it comes to coordinating care, exchanging healthcare information can get tricky. Unclear processes can easily violate HIPAA regulations or create unnecessary confusion. 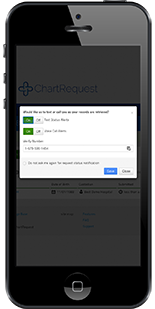 Find a solution with ChartRequest’s highly configurable user access controls. 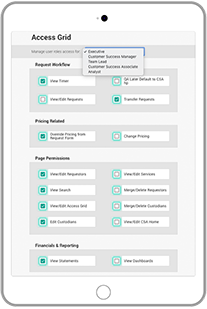 Simply enable (or disable) permissions to reduce confusion, designate decision-makers, and define who has access to what. At ChartRequest, we’ve developed a companion mobile app for your patients. This app sends notifications and updates directly to your patient or the primary caregiver, which means less phone calls and more informed patients.